Mr. Marc Nassif, the Managing Director of Renault India Private Limited is all determined to achieve this goal this year through the help of all the resources available at the disposal of the firm. Renault India has made an amazing progress after splitting itself from the nation’s major leading utility vehicle manufacturer Mahindra & Mahindra in February 2010. 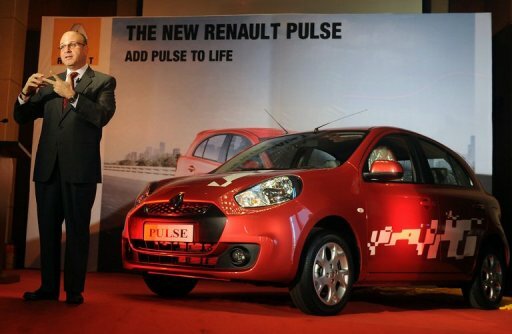 Since then, it has launched its new car in May 2011, a premium sedan which is called Fluence. This year the firm will launch some more variants of Fluence as well to make it a strong brand line-up in the automobile market of India. Right now Renault India is driving around the Indian roads with three of its best production vehicles. The Pulse, which is a premium hatchback, Koleos which is a superb top-end sports utility vehicle and the aforementioned Fluence which is a premium sedan. In 2012 the firm is contemplating the introduction of two more cars to the automobile market as well as it has plans to bring in five new products in the next fifteen months to the Indian customers. When Renault launched a car in collaboration with Mahindra & Mahindra a couple of years ago, it was an instant success for both the companies as the car sold like hot cake in the market. But after that in next couple of months both the companies parted ways to find their own place in this new found segment independently. Mahindra & Mahindra already had a place of its own built through its vehicles for years while Renault had to work its way up from the bottom once it broke up with Mahindra & Mahindra. Right now the Indian automobile market is completely dominated by the Maruti Suzuki group, which is a Japanese controlled firm on the Indian auto market. Meanwhile other auto manufacturing companies from foreign countries have also made their way in the market as well. Toyota and GM are two of those international companies which have settled themselves here very strongly with their products in the various segments, mainly from personal cars to SUV and cars which can be easily used for commercial purposes like taxi services. Now the 1.2 billion population of India will get to see a tough competition between the auto giants for sure. This should introduce new products at a lower-rate in the automobile market of India in the near future.